I couldn't believe how fast the Banking Burnout Bonanza™ (BBB) struck again since the last blog. This one's been going for awhile though since March of 2016. It took 6 months before I got back to solving it again so you know it's a good one. By stories end l'll once again demonstrate how bitcoin effortlessly solves this headache. Unfortunately, I was paying one lonely bill via big bank online bill pay. This is the kind of bill pay where you click pay but a check spits out into the mail. Everybody is bound to have at least one of these for one reason or another. Surprisingly this worked for 2 years until the inevitable breakdown began. Bank phone calls are universally dreaded among us bank customers. To my dismay I connected with customer service, got the checks cancelled without fees and was off the phone in 5 minutes. That's how I discovered hefty $35 stop payment fees don't apply. The vendor emails the next day saying they found the paper checks in a stack of mail, a perfect way to end the fire drill. 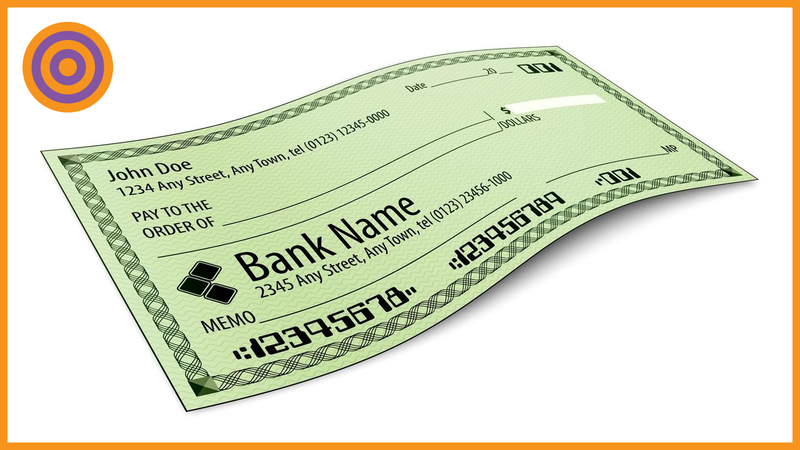 It was obvious the click to paper checks had to terminate. I wasn't about to make a part time job out of cancelling checks from a disorganized vendor. It was time to solve this by ACH. They already waited 10 days for the paper check so they should've been asking for an ACH from the beginning. You'd think ACH setup would be routine but that's never the case when it comes to banking. I got the vendor's account and routing numbers, clicked on add recipient and was blocked by the "Enroll in Safe Pass" prompt. Safe Pass is an authentication method to prevent fraud. You simply enter your debit card details and select a mobile number for getting future 6-digit text codes. I entered the card info, clicked next and got "card confirmed", clicked next again and got "request can't be completed at this time." I went in circles 8 more times with the same result. As I picked up the phone in March 2016, the all-to-familiar feeling of the Banking Burnout Bonanza™ came over me again. I explained to customer service how I was trapped in a Safe Pass circular reference after 8 failed attempts. They had me do it another 4 times as if they never heard of the issue or didn't believe me. I ran out of time, hung up with no solution and deferred the issue for 6 months until the vendor emailed again about a missing payment. I logged in and tried the Safe Pass setup another 5 times as if it would magically work this time. There I was on the phone again having a Banking Burnout Bonanza™ de ja vu of sorts explaining the same situation and demonstrating 3 more failed attempts as Sarah, the customer service agent, watched via screen share. After 36 minutes Sarah identified a possible culprit, too many bank accounts registered for bill pay. The logic of bill pay accounts somehow affecting completion of the Safe Pass process if befuddling. Sarah proceeded to unlink all but one account in bill pay as the solution. Sarah told me to wait 48 hours before setting up Safe Pass. Six days later I logged in, laughed as Safe Pass predictably failed 3 more times and smiled as I knew a great blog story was in the making. I hopped on the phone a third time going from de ja vu to ground hog day explaining everything all over again. Myrna was eager to walk me through Safe Pass failing a 24th time, but I finally put a stop to the madness. I requested a Safe Pass card, a $19.99 physical card that produces the 6 digit codes, as a guaranteed solution. I asked Myrna to waive the $19.99 fee and overnight the Safe Pass card in consideration of my banking headaches. She waived the fee but declined my overnight request per policy adding another 14 total days to the 187 days I've been waiting to get this solved. Notice how waiting to use your money is one of 3 elements of the Banking Burnout Bonanza™? I emailed the vendor with a banking explanation after every one of these episodes. I've spared the details but the vendor had to wonder if all the banking drama was real or whether is was a classic customer cash flow juggling run around. It's nice to have an arrangement like this when the headaches begin so I thought a high five was in order. NOTE: The total time to send a bitcoin payment is less than 5 minutes depending on what wallet you use and how fast you can open it up. A 10-minute block confirmation is long past by the time the vendor looks for payment, so the vendor actually does zero waiting. Effortlessness can't be overemphasized. Solving payment headaches is just the beginning. Move your business into the 21st century by getting a copy of my book, The Ultimate Bitcoin Business Guide, in paperback eBook or audiobook. I also recommend my blog and our other services at TheBitcoinCPA.com.